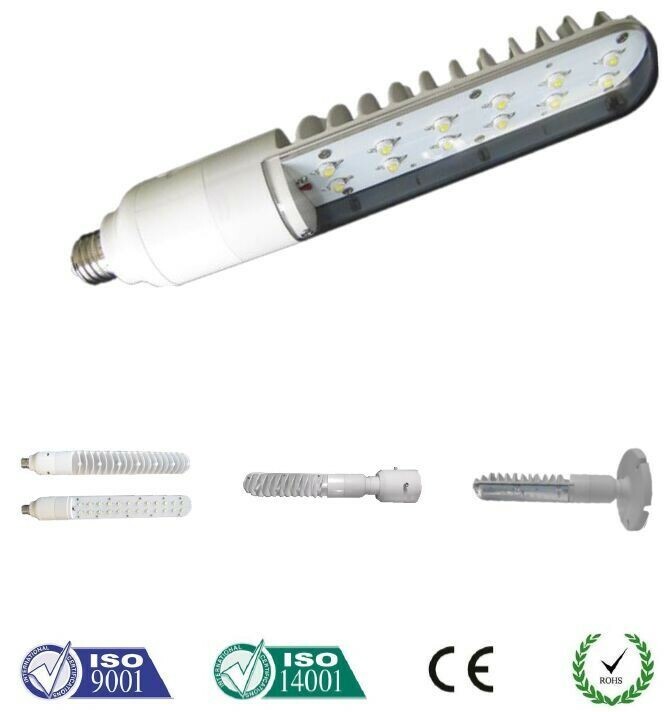 1.High Efficacy low decay 700MA Bridgelux 45Mil LED chip. 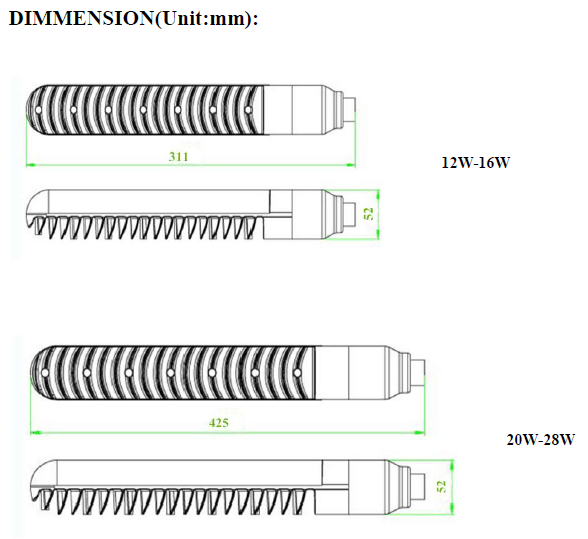 2.Patent design with die cast ADC12 aluminum heat sink, high heat transmission rate and long life span. 3.Rotatable base with E40/E39/E27/E26/BY22D sockets. 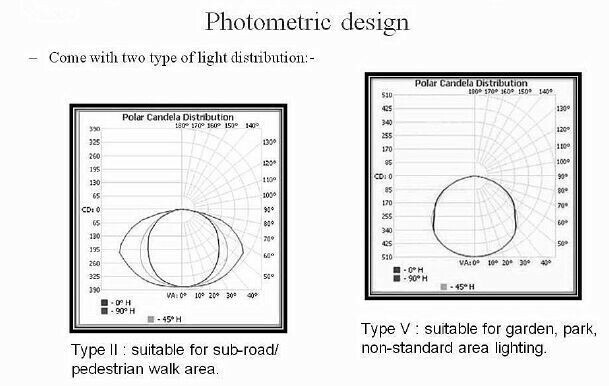 4.Anti-glare 120 degree scientific optical design, making the light more even, comfortable for eyes and efficient light distribution on the ground. 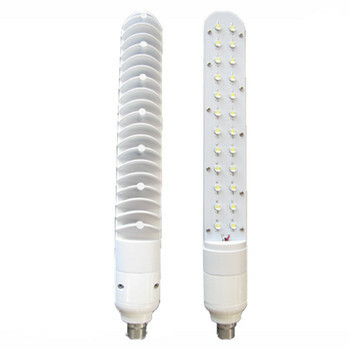 5.Rubicon capacitance,high luminous efficacy and long lifespan. 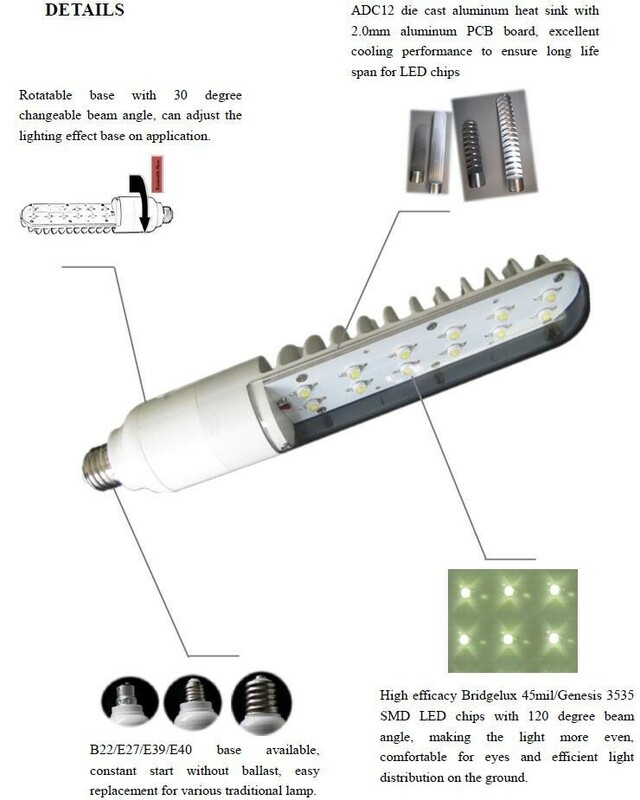 6.Can directly replace SOX/LPS bulb, 70% more energy saving. 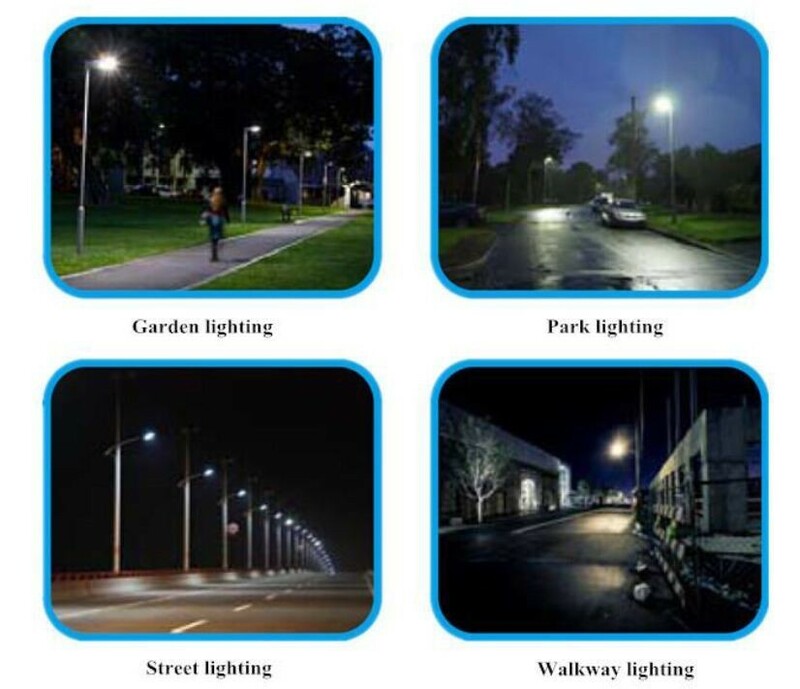 7.Over 35000hrs life span, easy installation and maintainance free. 8.2.0mm aluminum PCB with heat index 2.5, excellent cooling performance. 1. 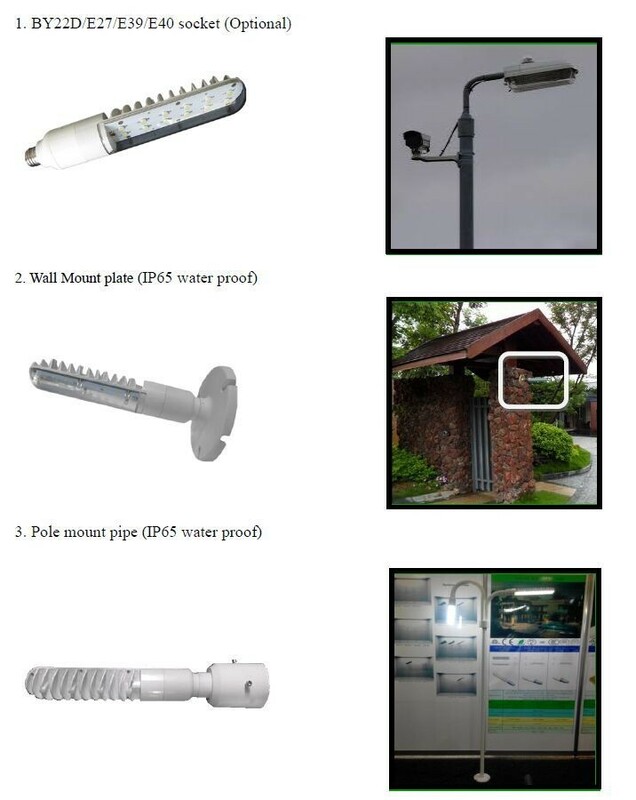 Suitable for narrow street lighting, garden lighting, walkway lighting, area security wall mount lighting, SOX/LPS bulb replacement etc. 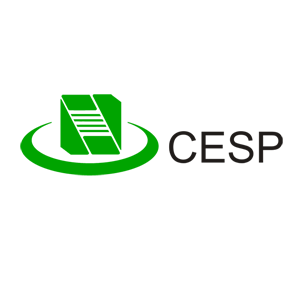 2.To avoid risk of explosion and electric shock, the product must be installed,inspected and maintained by a professional electrician. 5.Working temperature must not exceed the limit of the range -30ºC to 50ºC.